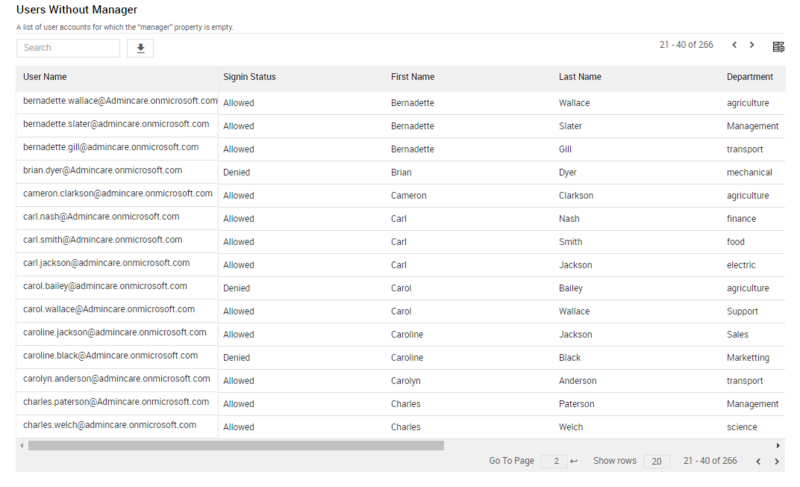 Mailbox connection report helps you to determine how your users are accessing their Exchange online mailboxes and other Office 365 services. To get the mailbox connection information, admins need to use PowerShell commands such as Get-ConnectionByClientTypeReport, Get-O365ClientBrowserDetailReport and Get-O365ClientOSDetailReport to develop the script. AdminDroid Office 365 reporting tool provides PowerShell free reporting, and it provides all the data in visually appealing interface. The mailbox usage reports include information such as user’s operating system, browser with its version, mailbox last accessed time, etc. This free tool helps the administrator to find the users who are accessing the outdated browser or operating systems. The following are the insights offered by AdminDroid exchange online reporting tool in mailbox connection dashboard. Mailbox Connections Overview - shows the number of mailbox connection made for the last 180 days. It shows the connection types such as MAPI, OWA, EAS, EWS, IMAP and POP3. Mailbox Usage by OS - shows the number of mailbox connection made by particular operating system platform with its version. Mailbox Usage by Browser - shows the number of connection made by browser type with its version. The following are the Office 365 mailbox connection reports offered by AdminDroid Exchange Online Reporting Tool. All the reports can be further customized, and you can schedule one or more reports to run automatically at configured time and delivered straight to your preferred mail-ids. You can export the report results to CSV, Excel (XLS/ XLSX), HTML or PDF. This report shows the daily activity of mailbox connection of each mail-enabled users in your Office 365 environment. It helps to find whether users is using mobile or desktop client or browser to open their Exchange online mailbox. Mailbox connection summary report shows the daily statistics of the number of connection made to mailboxes by each available connectivity types. Following connectivity methods are presented in the report. This report shows the daily summary of browsers used to connect the mailboxes in your office 365 environment. It helps you to visualize the most used browser in your organization; further, you can ensure that your organization users are not using any outdated or restricted browser to avoid the security issues. This report shows the daily statistics of browser used by each user in your organization. It shows the browser name, version and mailbox last access time of mailbox using the specified browser and the access count. This report shows the daily summary of operating system used to connect the mailboxes in your office 365 environment. It reports on both the mobile and desktop operating systems. 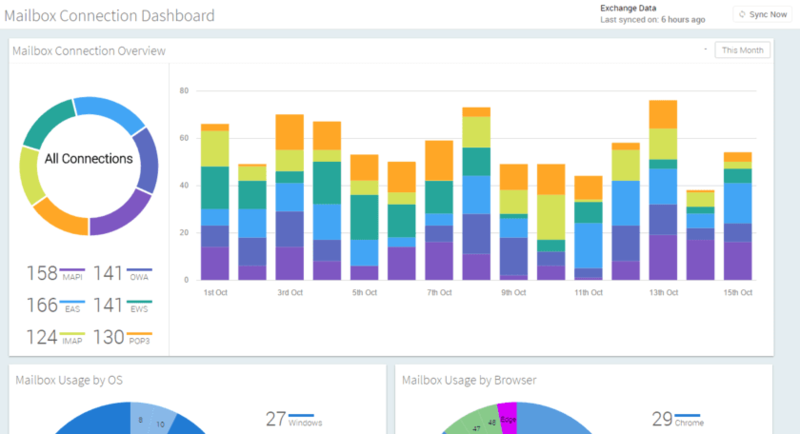 It shows the daily statistics of operating system used to connect user’s mailbox. This report includes information such as OS name, OS version, access count and mailbox last access time using the specified OS.